People in Boston think of their city as a major tech hub. But to see a dynamic broadband Internet market in action, you’re better off heading to Cajun country. In an ideal world, local government agencies would never feel a need to get into the Internet business. 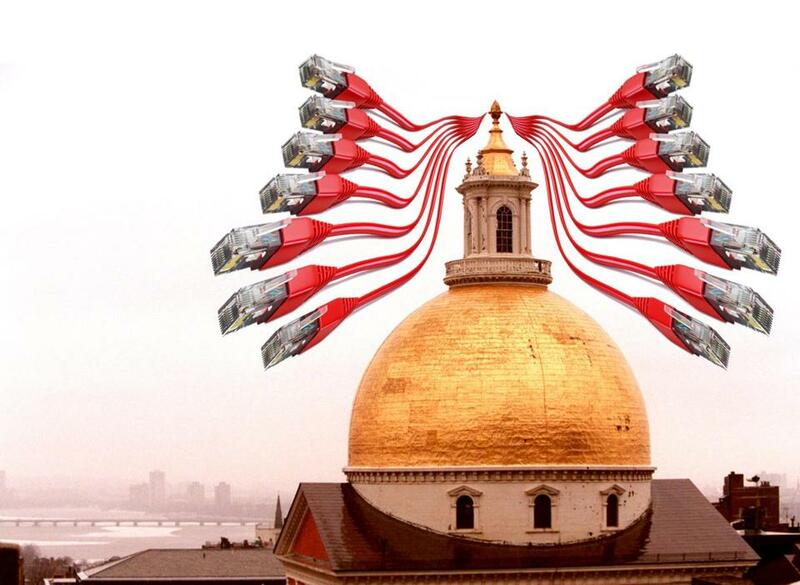 But in most of the country, including vast areas of Boston, residents have at most one choice for service that meets the Federal Communications Commission’s current definition of broadband; usually the provider is whichever company owns the decades-old local cable monopoly. When communities aren’t being served — or, as in Lafayette’s case, they want better service than they’re getting — why should they wait for Comcast Corp., Cox Communications, or other broadband giants to come to their rescue? Residents typically must drive to the local library or town hall parking lot for a high-speed Internet connection. That may be changing. At least 500 communities have community-owned broadband networks, according to data from the Institute for Local Self-Reliance, an organization that promotes the idea. Except for a few newer details — you know, minor stuff like fiber optics and the Internet — the argument over such networks has been raging since the Roosevelt administration. The creation of the Tennessee Valley Authority, a federal agency that extended electricity in the rural South, led to a Supreme Court showdown with shareholders of Alabama Power. Likewise, when Durel and Terry Huval, head of the publicly owned Lafayette Utilities System, floated an idea called LUS Fiber a decade ago, the cable firm Cox and BellSouth, the provider of now-obsolescent DSL technology, fought the idea in the state legislature and in the courts. About 20 states have laws deterring municipal networks, ostensibly to protect private enterprise against unfair competition from the governments that regulate them. Just this month, North Carolina sued the FCC to defend its right to keep the city of Wilson from expanding its municipal network. Alas, the relentless genius of Steve Jobs or Mark Zuckerberg does not pervade every last cubicle of the private sector. In industries where regulatory favoritism and high entry barriers stifle competition, the harsh discipline of the marketplace is notably absent. Broadband incumbents can make their quarterly numbers by offering Soviet-quality customer service and holding back on investments in faster networks. Even lumbering monopolists may succumb to technological changes over time, but until then consumers are helpless. But the logistics of building out a municipal network are daunting, and the cities that have fared best have community-owned power companies. The Lafayette Utilities System, says Huval, its director, benefited from in-house expertise in putting up wires and securing rights-of-way. To be able to compete for Internet customers, Lafayette’s fiber system also had to offer pay-TV services — and initially had trouble getting cable channels to return its calls. While walking off a million-calorie lunch in downtown Lafayette Monday, I ducked out of a sudden rainstorm and wandered into the offices of an Internet consulting firm called Red Ball Technology. The owner, a Lafayette native named Derek Hernandez, praised the municipal network’s speed, reliability, and customer service. He noted that, in scouting a location for a new data center, he’d made a point of buying one inside the municipal fiber system’s service area. Hernandez also expressed deep reservations about a government-controlled broadband network. Officials in Lafayette, once labeled the nation’s ninth-most conservative city, acknowledge such concerns. Durel is a Republican former Chamber of Commerce chairman who likens LUS Fiber to the risky oil and gas wildcatting that fueled his city’s growth rather than to the New Deal liberalism of FDR. If Google and other deep-pocketed companies ever build commercial fiber networks to compete with cable companies from coast to coast, they’ll spare market-oriented Internet junkies a lot of philosophical dissonance. Until that day comes, competition from local government is better than no competition at all.